TRAILHEAD ACCESS: From 1-90 Exit 80, go north through Roslyn on Highway 903, follow county road along Lake Cle Elum to FS Road 4308, west on 4308 to 4308-115, then south to trailhead. PARKING AND FACILITIES: The trailhead consists of roadside parking for 6+ vehicles, and has no facilities. TRAIL: Climbs very steeply for most of the first 3 miles, topping out on French Cabin Mountain. From there it follows the crest overlooking Lake Cle Elum, climbing over Thomas Mountain, Mt. Baldy, and Domerie Peak, then descending to the southern terminus. The trail can also be accessed from the Domerie Divide Trail #1308.2 via Easton Ridge Trail #1212. From its junction with #1212, this 1.4-mile trail travels the east rim of the canyon above Silver Creek and then heads straight up the mountain to the top of the ridge between Thomas Mountain and Mount Baldy where it meets #1308. This is a very steep trail; hiking is the only recommended use due to the condition of this trail. There is limited public access from the south due to private land ownership. In some areas, this trail is steep and narrow; in other areas, such as meadows where it is difficult to find due to light use. There is no water along the trail, but it may be found in some of the small drainages a short distance from the trail. 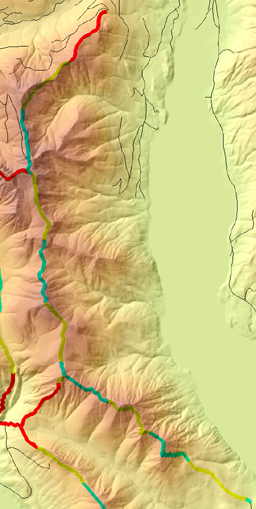 SETTING: Ridgetops, mountaintops, old-growth timber, high grassy meadows, subalpine zone. OPPORTUN1T1ES: Hiking, horseback riding camping, scenery, photography, wildlife, hunting, solitude. 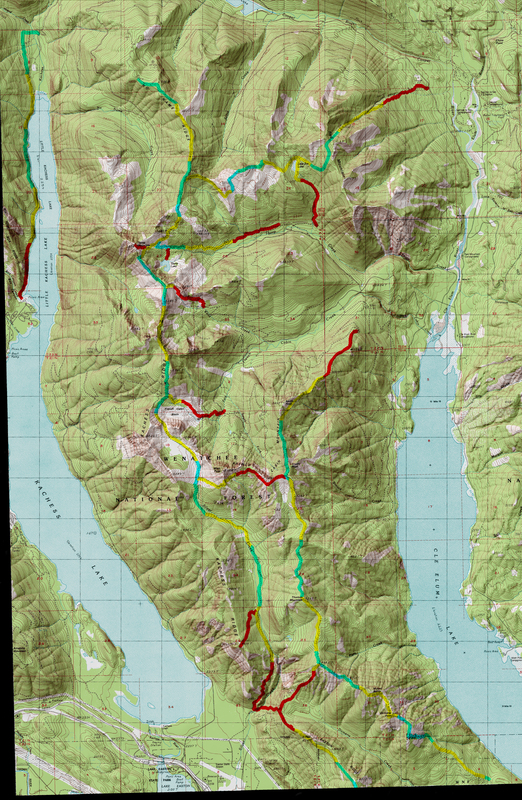 OTHER TRAILS: Silver Creek Trial #1308.1 (which connects to Kachess Ridge #1315 and is hiker only), Domerie Divide #1308.2 (which connects to Easton Ridge #1212).